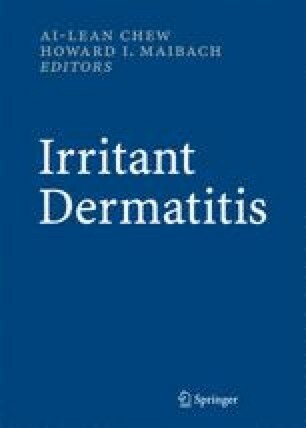 There are relatively few reports of irritant contact dermatitis in the tropical countries. Most tropical countries are developing countries where the social status is generally lower then developed countries. Because of the high environmental temperature and humidity, individuals in the tropics often find personal protective equipment inconvenient to use. The industries in the tropics generally belong to the more labour-intensive type and workers are more likely to be exposed to environmental irritants. Hence irritant contact dermatitis tends to be prevalent. Dermatologists working in the tropics should be familiar with the environmental factors and the common prevalent contact irritants and allergens when working in the tropics.